Michael Cruz also known as DJ Cuban is one of Maryland’s hidden secret. His outgoing personality, experience, and passion combined allow him to stand out from many other Disc Jockeys in the Metropolitan area of Maryland, DC, and Virginia. 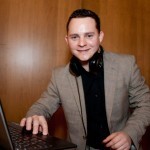 One of the main reasons people hire DJ Cuban is because of his natural ability to adapt to different environments. DJ Cuban is one of the most versatile DJs around. His passion for music has helped him expand his collection of genres. His only wish is to please the crowd with the music they like. Including but not limited to Top 40, House, Alternative, Pop, Salsa, Merengue, Bachata, Cumbia, Reggaeton, Hip Hop, R&B, Oldies, Dancehall, Reggae, Soca, Go-Go, and much more. DJ Cuban’s business has been growing through word of mouth mostly. 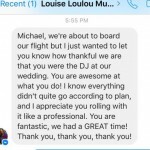 If you are looking for a DJ who will go the extra mile to make sure your event goes exactly the way you want it, then Michael Cruz, AKA DJ Cuban, is the DJ you want for your event. Comments/Suggestions : DJ Cuban and his assistant were both fantastic! He ran our wedding reception flawlessly, including cocktail hour in a separate area requiring a different set up. He responded quickly and well to changes in our event schedule and plans. His song selections were also amazing – the music for cocktail hour and dinner was perfect, and they kept everyone on the dance floor for the rest of the night. We gave him very little guidance on song selection (a decent list of do not play songs, two or three genre suggestions, and maybe two to three artists), but everything was spot on for our guests’ tastes and ours. He accommodated our busy schedules during the planning process as well. We cannot thank him enough for such a wonderful wedding reception! Michael thank you so much for an amazing performance on my wedding last Sunday Sep 25th, Alex and I are very pleased with everything you did. We will definitely recommend you to our friends and family. Thanks again and keep up the good work. 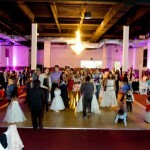 DJ Cuban went ABOVE AND BEYOND for our wedding!!! 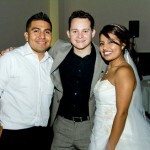 In the midst of a country/Mexican wedding, he was able to please everyone, most of all ME! the bride! (super important). Flexible and willing to work with our crazy requests, all the while keeping a great attitude and big smile on his face. 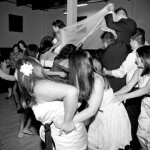 Not one person at our wedding did not get up on the dance floor, even the older ladies with oxygen tanks were motivated by his sound. 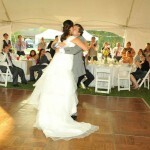 It was the best day of my husband and my life, and I would not have been able to do it without him. Super grateful and happy with his services. 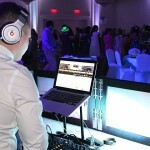 Everyone should have a DJ for their event like DJ Cuban!